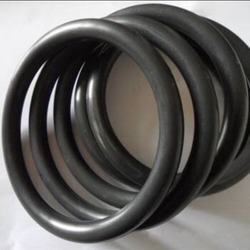 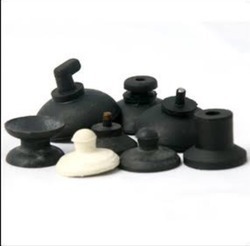 We are a leading Manufacturer of rubber strips, rubber mats, rubber washers, rubber suction cups, rubber o rings and moulded rubber parts from Ahmedabad, India. 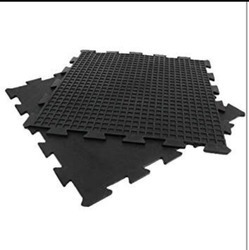 These sponge Gaskets and strips are manufactured from technologically advanced fully automatic microwave curing system which ensures uniformity, and totally controlled dimensions and glossy finish. 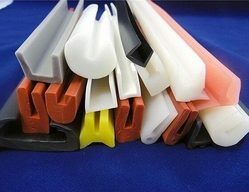 Silicone Strips and Sponge gaskets are also manufactured in STEP MOULDING PROCESS as per the customers requirements where the accuracy of dimensions are prime important and the edges are required very sharp. 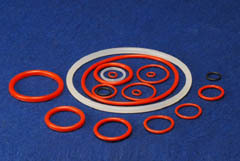 Looking for rubber accessories ?